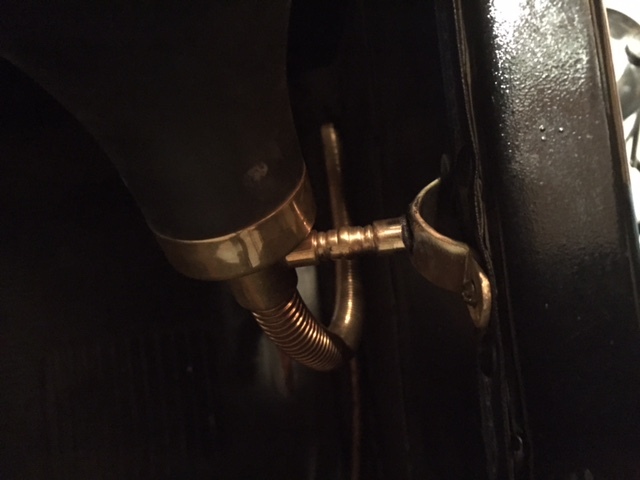 The bulb horn mounting on the 1914 Roadster broke loose and I have had a lot of trouble getting anything to fix it. Used some JB Weld and it didn't hold, I had a welding shop bronze it on the back and it broke within a week. 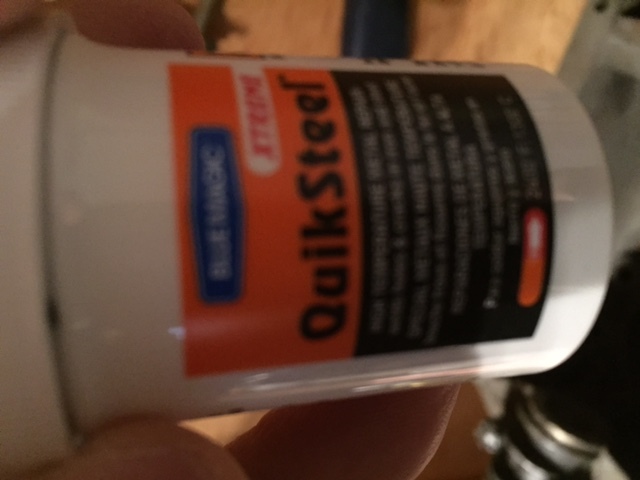 Finally tried some QuikSteel and I think it had solved the problem. The problem was on the back of the post where it fits into the mounting bracket. So far NO WIGGLE at all. The photo is a little out of focus. If you need the info, send me an email. The main issue is that you have the wrong bracket for a '14. Yours has the earlier bracket with the long stem. This style was designed to be used with the bracket mounted on the outside of the car. 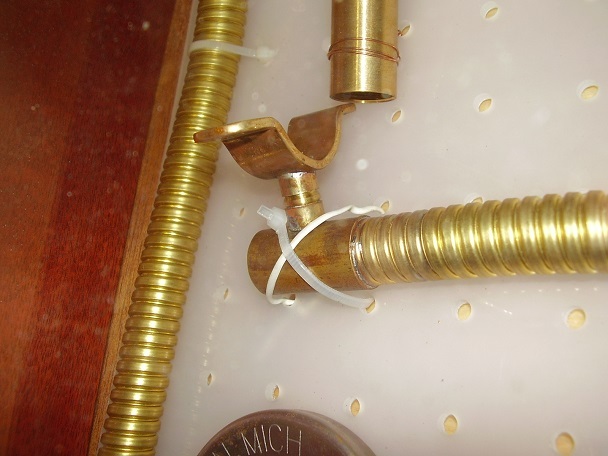 When the mounting was moved inside, the bracket was modified to use a much shorter stem (and much shorter tubing as well)which moved the bulb closer to the door panel and more out of the way of the driver's knee. Is that car a right hand drive or is that picture reversed? Thanks R.V. that is the mount that came with the car when my wife bought it for me. It is a left hand drive. It is a roadster. The length the stem is a lot longer for sure. The first photo was taken from the front looking down toward the seat and I should have placed a drop light above to get better perspective. It is mounted inside of the driver's side. Thanks for the input. Now I know what I have. One thing for sure the Quiksteel works. Maybe use it for cracked blocks? Anyone had experience with that?